Welly Warmers Are On Offer Now! With the cold snap continuing, the UK is still under snow and the very cold weather means it isn’t going anywhere quickly! Many of us turn to Wellington’s to keep our feet dry, but they don’t keep your feet warm and one essential item at this time of year is a pair of welly warmer boot liners. These boot warmers are machine-washable and made of a lovely fleece fabric turning your wellington boots into snug, warm, perfect for winter boots! They are ideal for gardeners and particularly dog walkers who have to take their dogs out in all weather! Once you’ve tried them, you’ll never wear your wellies without them. They’re available in three sizes: UK 4-6 (euro 37-39), UK 7-9 (euro 41-43) and UK 10-11 (euro 44-46). In charcoal grey, they look smart with any coloured wellies and are a bargain because they are now reduced to only £7.99 per pair, saving you £2! You may also be interested in an ingenious little device which prevents your trousers bunching up at the top of your boots. Called Strupz they solve the problem of your trousers bunching up when in boots and wellies. They’re easy to fit and comfortable to wear. Just clip to the hem of your jeans, stretch the elasticated strap under your foot and hey presto, no more baggy jeans above your wellies. Available in pink and black, they cost just £9.99. When it comes to removing wellies, there’s a simple way to avoid that frustrating tussle with slimy wet boots. Caraselle’s Wellington Boot Remover is a strong, weather-proof, plastic boot remover that grips your wellington boot and easily removes it from your foot without you having to stoop and grip the dirty sole. 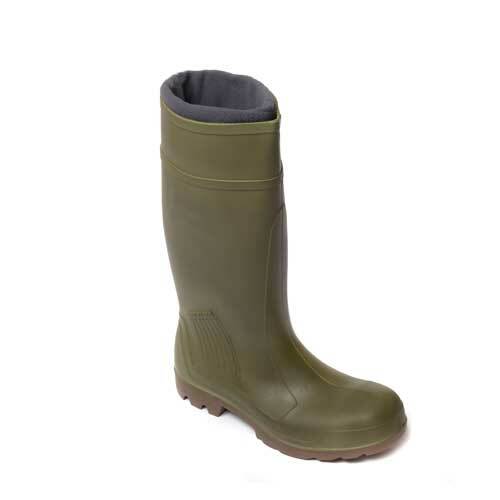 It’s the easiest, quickest way for all the family to take their wellies off for just £6.99. For storing wellies, Caraselle’s WelliTop Clip On Cover for Wellies protects your wellies and makes them easy to keep in a hallway, cupboard or car. The WelliTop clips the boots together and has a welly-shaped cover to prevent the invasion of spiders and other pests. Made to fit adult sizes 3 to 12, it’s ideal for all the family’s wellies, protecting them from rain, leaves or dust, and has a clever handle so you can carry your wellies in pairs. At £9.99, this is the cleverest welly gadget around and the best solution to sort out that tangle of wellies cluttering up the hallway in winter. For the ultimate in wellington boot luxury, Caraselle has size 5 and size 6 Ladies Folding Fleece Lined Welly Boots in stock. 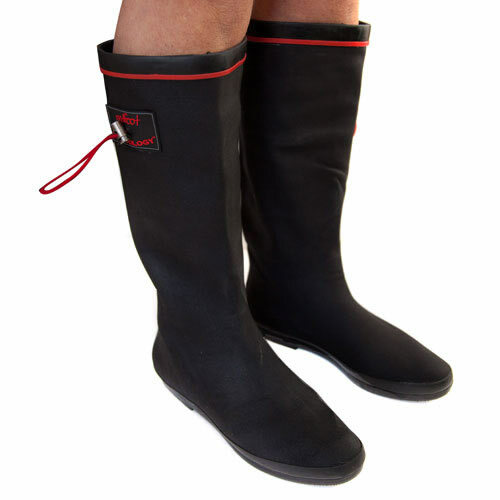 These lightweight, waterproof boots come in black with a fashionable red trim. They fold into the custom-made pouch so they can be tucked in your bag or car boot ready for use. This is a brilliant British design for just £49.99 so order now while they’re still in stock.